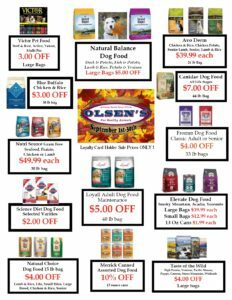 Fall for the savings at Olsen’s with our September 2018 Family Rewards Specials! 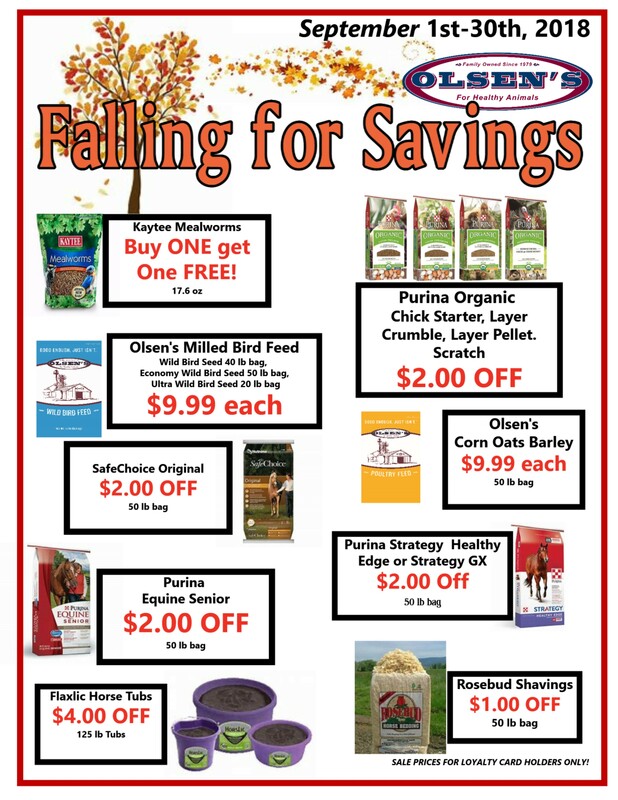 Sign up for our family rewards program and save at Olsen’s Grain. 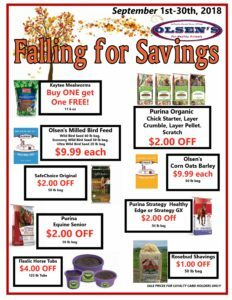 Enjoy savings with spectacular deals and save on pet feed, pet treats, pet supplies, poultry, wild bird, and equine feeds as well as other supplies for your barn and stable with Olsen’s September 2018 Family Rewards Specials. Olsen’s Family Rewards Program is free and easy to join at any Olsen’s Grain location. Members enjoy exclusive specials plus coupons in our monthly newsletters. Sale prices are valid through September 30th for Family Rewards members only. 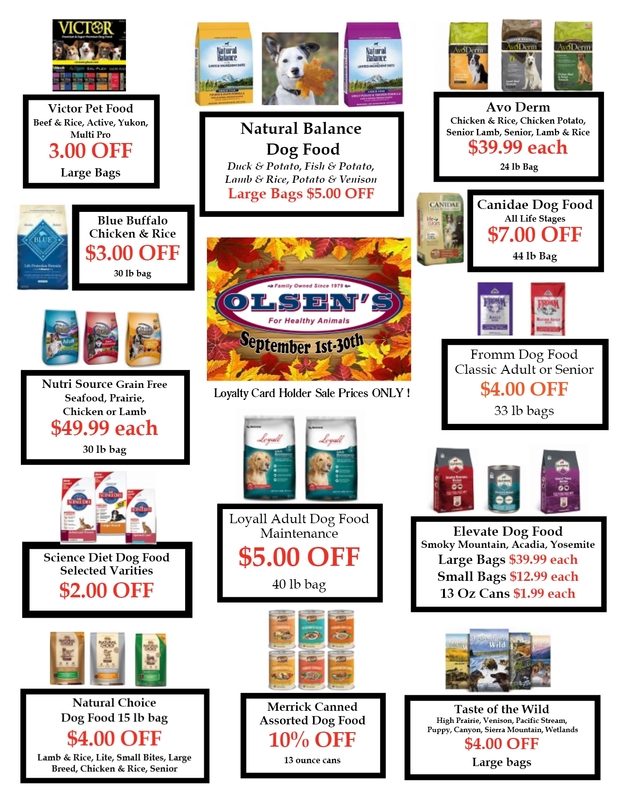 LOYALTY CARD HOLDER SALE PRICES ONLY – VALID FROM SEPTEMBER 1ST THROUGH SEPTEMBER 30th. This entry was posted on Wednesday, August 15th, 2018 at 7:42 pm	and is filed under Family Rewards Specials, News & Updates, Specials. You can follow any responses to this entry through the RSS 2.0 feed. Both comments and pings are currently closed.